Quad by Muscle Rage is the most complete and strongest sarm stack on the market for strength, mass, endurance and fat loss. - Ostarine for maximum strength, fat loss and lean mass increases. - MK-677 for increased Growth Hormone and IGF-1 levels. - LGD-4033 for rapid mass and strength increases. 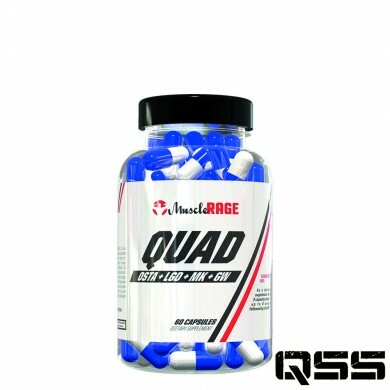 Quad will take your physique to levels you didn't realise you had. It wont take long before everyone is asking what you are using.